You are here: Home » Featured » Book Review: Who Does He Say You Are? Who Does He Say You Are? is an honest portrayal of the wounds that women carry and the ways that Jesus wants to heal us and use us to further his kingdom. 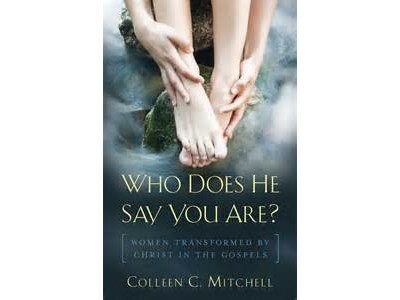 Mitchell invites us to imagine who we could be; who God made us to be before sin and pain in suffering got in the way. These biblical women serve as examples and friends. Their stories are worth meditating on and learning from. We can listen to Jesus speak to us words of comfort and healing by listening to them.